The Committee to Protect Journalists condemns an order by the Yemeni government to cancel the license of the independent weekly newspaper Al-Wasat. Yemeni Information Minister Hassan al-Lawzi ordered the newspaper's license terminated because the paper had damaged relations with Saudi Arabia, and violated technical provisions of the press law. A Yemeni government spokesman who asked that his name not be used told CPJ that the Information Ministry revoked Al-Wasat's license because the paper had published articles threatening national unity, and spreading messages that promote violence and hate. Yemen supports the freedom of the press [...BUT only that ...] that adheres to professional standards and practices. Contrary to the government's lofty statements in support of a free press such shameful acts of censorship have regrettably become the norm in Yemen, said CPJ Executive Director Joel Simon: We call on the Yemeni authorities to reverse this flagrant measure immediately. After confiscating thousands of copies of a critical independent newspaper, authorities laid siege today to the paper's offices in Aden, Yemen. The daily, Al-Ayyam, has been covering the ongoing conflict in the country's southern region. Bashraheel Bashraheel, general manager of Al-Ayyam, told CPJ that after three consecutive days of authorities confiscating thousands of copies of the newspaper, security forces today surrounded Al-Ayyam and prevented the distribution of all 70,000 copies of the paper. Staff members are allowed to leave the building but are being searched as they exit, Bashraheel said. 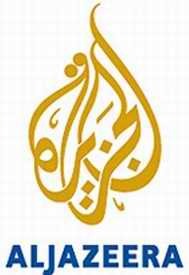 We call on the authorities to end the siege of Al-Ayyam and to withdraw all its forces immediately, said Mohamed Abdel Dayem, CPJ's Middle East and North Africa program coordinator: Al-Ayyam and its staff are exercising their journalistic duty to cover an ongoing conflict. The government must not target them because of their coverage. Dozens of protesters gathered today in front of the besieged paper's offices to protest the government's action, with the police eventually dispersing the demonstrators, Al-Ayyam reported on its Web site. Bashraheel told CPJ that in light of the government's actions and to curb financial losses he has been forced to suspend printing of Al-Ayyam indefinitely. A blockade by security forces of the offices of a Yemeni newspaper, aiming to prevent distribution of copies of the paper, has entered its second week. The action follows the confiscation by the authorities of thousands of copies of Aden-based Arabic daily al-Ayyam. In a another development on Monday, security forces surrounded the house of Hisham Basharhail, al-Ayyam’s editor–in-chief, and notified him that he had 48 hours to hand himself over to the authorities in Sana'a. 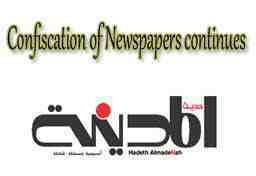 Six other newspapers - al-Masdar, al-Watani, ad-Diyar, al-Nedaa, al-Sharea and al-Mostakela –had copies of their newspapers seized on 4 May, following a widely publicized decision by Yemen’s Director of the Press. The government has accused all seven newspapers of expressing views favourable to the secession of the south in their coverage of protests in the southern part of the country in April. Human rights activists in Yemen have said they are outraged by the decision to confiscate newspapers. They have said that they consider the government's action not only a serious violation of international standards but also of Yemen's own laws. Yemeni laws allow confiscation of newspapers only through a judicial order. The Yemeni authorities carried out the confiscation without resorting to the judiciary. The Committee to Protect Journalists strongly condemns a raid by Yemeni security forces on the Aden compound of the country's most popular independent newspaper. One passerby was killed. The Committee to Protect Journalists condemns an ongoing campaign to suppress independent journalism in Yemen and urges President Ali Abdullah Saleh to immediately bring it to a halt and order the release of two detained bloggers. Also, authorities have announced a special court to try media and publishing offenses. One of the latest victims of the media crackdown launched nearly two weeks ago is Yahya Bamahfud, a blogger and former editor of the Hadhramaut news Web site. Security forces arrested Bamahfud on Sunday night in the city of Mukalla in the southern governorate of Hadhramaut. They stormed his home without warrant and confiscated his computer and documents before taking him to an unknown location, local journalists told CPJ. This is the second arrest of a blogger in Mukalla since last week. Security forces arrested Fuad Rashid, editor-in-chief of Mukalla Press Web site. He had covered recent clashes, which began on April 27 between security forces and disaffected residents of the southern region of Yemen. The eruption of violence occurred on the eve of the 15th anniversary of a short-lived civil war that ended with the victory of northern troops. There should not be a pre-censorship on journalism in Yemen because the measure ended when the reunification of the south and north took place in 1990, Information Minister has said. At a conference organized by the Information Ministry at its former headquarters in Sana'a, Hasan Al-Lawzi said exercising freedom of expression must result in respecting the others' rights. The ministry does not prevent obtaining licenses for newspapers, but some are long-processed due to necessary legal procedures, he claimed. On halting some publications, Al-Lawzi said the papers blocked committed grave mistakes that they published anti-unity rhetoric and harmed special figures. Hence, the ministry took legal measures over violations by the newspapers under its responsibility to protect the people and the country. Soldiers stormed the building of '14 October', a national media company based in Aden in order to seize the latest issue of Al-Tariq , a daily newspaper it publishes. What happens in Yemen is hallucinating, Reporters Without Borders said. Not a day goes by without a news media being attacked or a journalist being kidnapped, arrested or convicted. The raid in Al-Ma'ala took place just as President Ali Abdallah Saleh was ordering the release of three executives of Al-Ayyam, a daily newspaper based in the city of Aden. The soldiers who overran the 14 October building searched all the vehicles parked outside, including that of publisher and chairman Ahmed Al-Hubaish, in order to confiscate that day's issue of Al-Tariq, which had a story about a raid by soldiers on a police station the previous afternoon in the nearby town of Al-Tawahi. According to Al-Tariq's report, the raid on the police station was probably an act of revenge for a dispute between a police and a soldier during an operation to remove illegally-built homes on a hillside outside Al-Tawahi. About 100 journalists have protested in the Yemen capital against harassment and censorship by authorities. The protest was held outside the Sana'a residence of the vice-president, Abed Rabbo Mansour Hadi, who is acting head of state while the president, Ali Abdullah Saleh, is in Saudi Arabia recuperating from wounds he sustained in an attack on his compound. The demonstration is part of wider anti-government protests that have been going on for more than four months, demanding an end to Saleh's rule. One newspaper editor, Osama Ghaleb of al-Nass, said he was forced to distribute the daily to other provinces in banana boxes to ensure the copies would not be confiscated by security. But unfortunately this method has now been exposed, he said. The Centre for Rehabilitation and Protection of Freedom of Press in Yemen has documented 465 cases of harassment of journalists in the past six months, which include threats, aggression, and detention. Calls by journalists to meet with the vice-president have gone unheeded, according to the head of Yemen's journalists' syndicate, Marwan Damaj. Yemeni security forces confiscated copies of Ahdath al-Madina , a local independent newspaper, on 7 August. Security forces seized the paper from newsstands in order to stop its distribution on the national level. According to the Arabic Network for Human Rights Information (ANHRI), security forces regularly remove newspapers in order to suppress the public's growing frustrations with President Saleh.